Find Peter Sís books at the library. 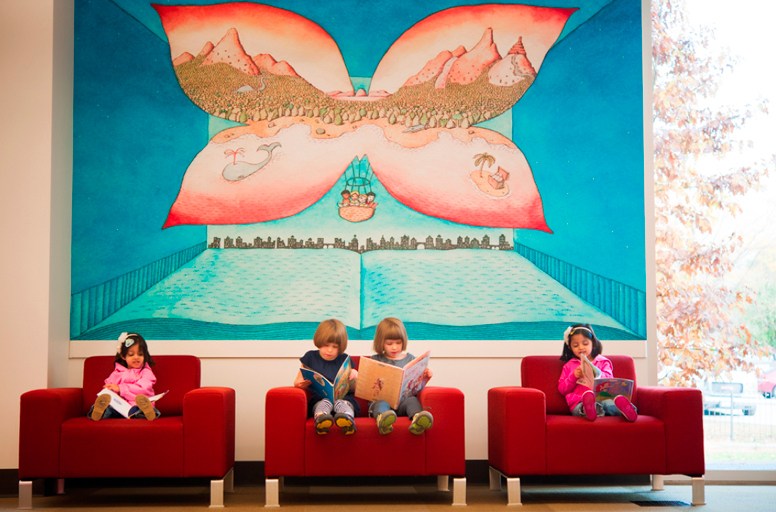 The library was extremely fortunate to gain the interest of internationally acclaimed illustrator and author Peter Sís who has created three spectacular murals for the Children’s area. The murals were installed in 2011. His only other murals grace the Baltimore/Washington airport and the New York subway system. A tapestry by Sís honoring Václav Havel was unveiled at the Prague airport in 2012. The murals were created using private funding.